Tap students’ leadership potential to help them form strong bonds with each other and with their school. In my educational leadership work, I’ve talked with administrators and faculty from across the country who are interested in creating safer and more supportive, engaging, and inspiring school environments. Adults can’t give students what they haven’t experienced themselves. The adults need engaging and relevant experiences together in which they create empathy for and connections with one another, and in turn, their students. They also need to understand the intellectual foundations and skills of this process so they can replicate it with students. What is one memory you have about a time in school when you felt strongly connected to other students? What is one memory you have about a time in school when you felt strongly disconnected from other students? Think back to someone—an adult or peer—in your school experience who threw you a lifeline. He or she knew you and cared about you, and this person’s caring made a positive difference in your life. Within 10 minutes, the room will be abuzz with discussions of universal experiences of connection and disconnection. School faculty and staff begin to relate with one another differently and have clearer perspectives on how their school may be missing the mark on supporting adolescents or even worsening the adolescent experience. Here are some reflections I regularly hear during this activity: Nobody really knew who I was; nobody ever asked me what was wrong; why can’t we figure out how to make content-area classrooms places where students feel connected? When school leaders have the courage to ask a parallel set of questions of the students they serve, the results can be sobering. In 2015, the Yale Center for Emotional Intelligence conducted a survey of 22,000 high school students. 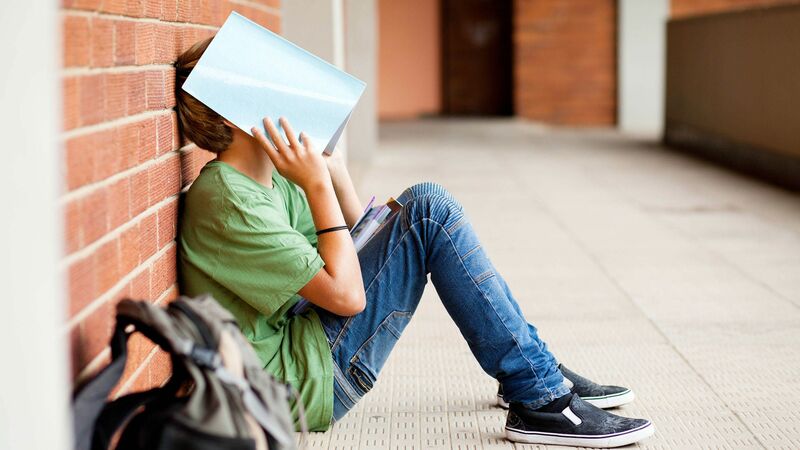 They were asked how they currently felt in school, and approximately 75 percent of the words they used were negative, including tired, stressed, bored, and lonely. How do we begin the work of engaging more students in school? Schools need to tap into the leadership potential of every student, partnering closely with faculty and staff to make school safer and more engaging and to combat boredom and loneliness. Developing students into leaders, and in particular activating them to help their peers learn and thrive in school, helps students form deep, authentic relationships with each other. They have each other’s backs. They take care of each other in the hallways, during lunch, before and after school, and throughout the school day. They have engaging and relevant experiences together. We know from research that this approach makes a difference in terms of graduation rates, attendance, grades, and discipline infractions. Engage students as peer leaders who learn to facilitate engaging conversations and activities with younger peers and contribute to a more nurturing and welcoming school environment. Engage families in becoming effective advocates for children in their school community and help other families further develop healthy caretaking practices. Have students, parents, faculty, and administrators participate together in analyzing school data, using protocols that support equity of voice, and in doing so, develop authentic, respectful dialogue with real contributions being made by all. Engage students in the daily work of creating a school where students want to be. All students can spend a part of their time in school in leadership roles. Not every student can be student council president or editor of the school newspaper, but almost all can be a classroom assistant, an assistant coach or tutor, a mentor for a younger student, a greeter for new students entering the school, or a member of student committees that have input on school policies and practices—including those related to gangs, drugs and alcohol, and bullying and cyberbullying. Tapping into students’ leadership potential is an underutilized strategy for curing—or, even better, preventing—the illness of school disengagement. It’s an underutilized strategy for making schools places where students want to be. We all need to collaborate around creating and sharing solutions that reimagine the role of student from consumer of education services to partner with faculty and staff in sustaining vibrant learning communities.